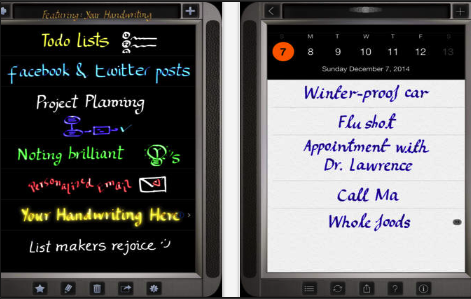 Use Your Handwriting (UYH) is an excellent app that turns your iPad into a personal notebook. The app is now free for a limited time, it’s regular price is $9,99. This gold version of the app comes with a variety of advanced features that make your digital handwriting a super easy task. 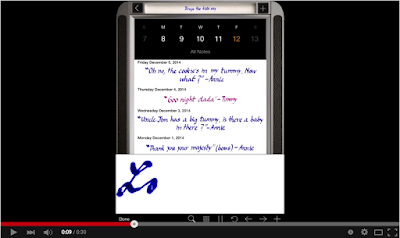 You can easily finger write quick notes and messages on your iPad and save or share them with others. For those of you interested in creating artistic and colourful notes for special occasions (e.g greetings, birthdays..etc), UYH does a perfect job. It has special multicolour lists to bring out the artist in you. UYH provides you with a unique calendar where you can annotate days with handwritten notes. UYH allows you to create lists and sublists and include as many notes as you want. Watch this short video to see how UYH works.